It took 3 tries in the green harvest to make this magnificent Cheval which is more broody and backward on the nose than usual. 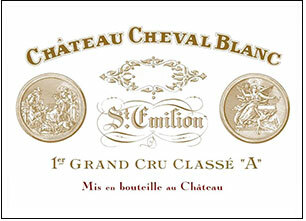 But the palate has a wonderfully elegance, dense savory Cabernet France coming to the fore. Very rich, almost decadent at birth (in contrast to the stubborn L'Eglise-Clinet), this is a superb wine in an otherwise "iffy" St. Emilion vintage.